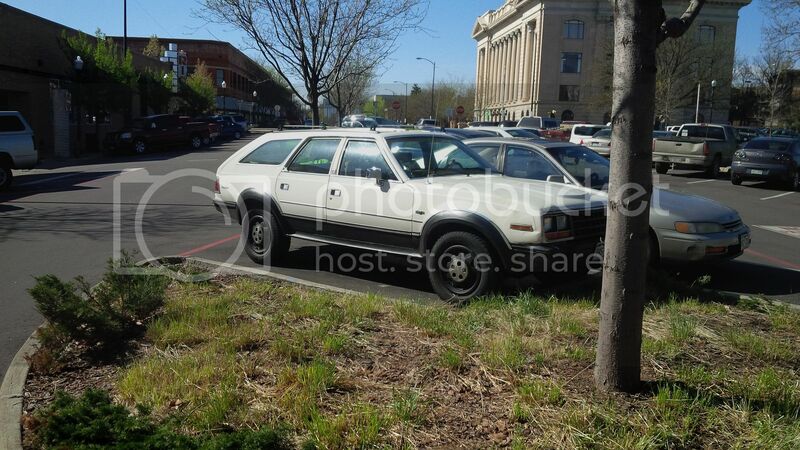 I had to travel to Greeley CO for work today and as I was parking I found a white Eagle wagon parked there. This was the first random Eagle I've seen in a long time. In the background is the Weld County Courthouse, opened in 1917. For today's geography lesson, Greeley is named after Horace Greeley, who uttered those famous words "Go west, young man!" 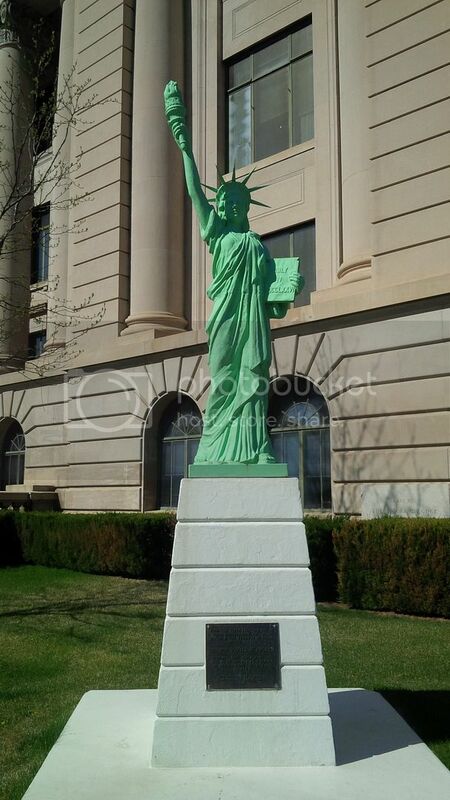 I've also included a picture of the replica of the Statue of Liberty which sits outside the courthouse, donated by the Boy Scouts. I always enjoy seeing Lady Liberty there! Looks like it's in pretty nice shape! Other than the typical Eagle fender damage! Where is your Eagle? Yeah it looked pretty decent. Since i drove up there for work I drove the company car and my Eagle stayed at home. Nice looking Eagle and a good find.